Two infant grandnephews of Pope Francis and their mother have been killed after their car slammed into the back of a truck in Argentina, authorities have said, according to an AFP report on Nine News. The Pope's nephew Emanuel Horacio Bergoglio, who was behind the wheel at the time of the crash, was in serious condition, they said. Mr Bergoglio's children -- aged eight months and two years old -- were killed in the crash along with their mother, Cordoba police commissioner Carina Ferreyra told AFP. 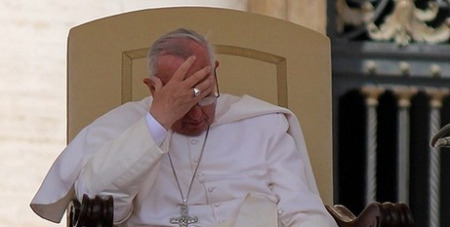 Vatican spokesman, Fr Federico Lombardi SJ, said the Pope had been informed about the accident and was "deeply pained. He asks all those who share in his pain to join him in prayer," Fr Lombardi added. The family was travelling on a highway in the central province of Cordoba when their vehicle slammed into the back of a truck and burst into flames, police said. The circumstances surrounding the crash are under investigation. Mr Bergoglio, who was hospitalised with multiple injuries, is the 38-year-old son of Alberto, the Pope's late brother. Both he and his two-year-old son were pulled from the wreckage alive and taken to hospital some 30 kilometres away where the child died shortly after being admitted.